Giandomenico Tiepolo was a painter, printmaker and draughtsman. 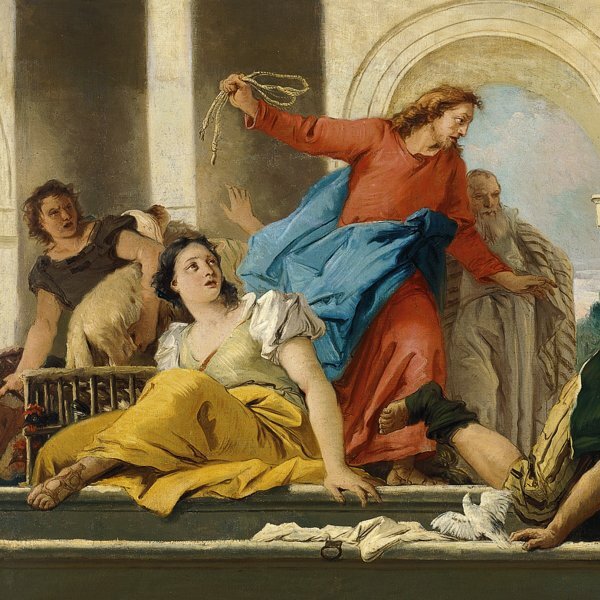 He began his training at a very early age in the studio of his father Giambattista Tiepolo, with whom he worked on numerous projects throughout his life. In addition, by the age of twenty he was already an independent master and received commissions from Brescia, Venice and Zianigo. Among Giandomenico’s first projects as an individual master is the series of fourteen paintings on the Via Crucis painted for the Oratory of the Cross adjoining the church of San Polo in Venice. From 1750 to 1753 he worked with his father in Würzburg and also produced his own compositions such as The Minuet (Museo Nacional d’Art de Catalunya, Barcelona). In general Giandomenico’s historical compositions are close to his father’s style, which makes their attribution difficult on occasions. In his genre scenes, however, he reveals himself as a highly original and imaginative painter. One example of the latter style is his decoration of the Villa Valmarana on the outskirts of Vicenza in which Giandomenico painted scenes of Oriental fantasies and leisure activities, such as Country People eating outdoors. 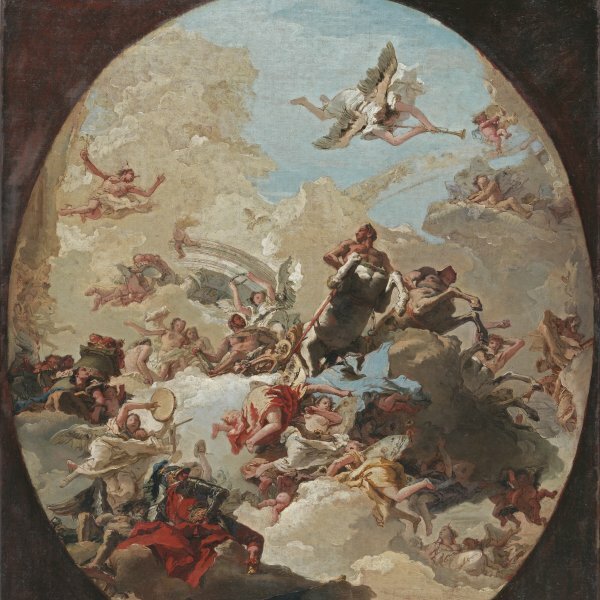 In 1762 he accompanied his father to Spain where he was principally active as his assistant although his work there expresses considerable creative freedom, for example the Allegory of the Spanish Monarchy (Palacio Real, Madrid). On the death of his father, Giandomenico returned to Venice where he remained active and was appointed president of the Accademia in 1780. During the last ten years of his life he executed some of the frescoes in the family villa at Zianigo, a project started in 1759 and completed in 1797 (now Museo Ca’Rezzonico, Venice). These depict the life of Punchinello, a popular figure from the Commedia dell’Arte. Giandomenico’s drawings and prints have always been highly esteemed and his drawings include provocative, subtle and on occasions caricatural scenes.